Click the Buy Now button below to take advantage of this special price. More info about TextExporter can be found here: http://www.rorohiko.com/textexporter. On this page you also find the download links for TextExporter and APID ToolAssistant. You can try TextExporter for 20 days before you need to acquire a license file for continued use. Our approach to licensing is quite unique, so to avoid surprises, please also read all about it here before making a purchase: http://www.rorohiko.com/licensing. Go here to stay informed about new releases of our free and commercial softwares. We don't send bulk e-mail. Instead, stay up to date with RSS. Click here for more info. Please read our FAQ before e-mailing. • a phone number where we can reach you. We sometimes have to try and help people whose spam filter rejects our e-mail or whose e-mail server bounces whatever we send. APID ToolAssistant It does not 'do' anything apparent, but you need it installed for most of our tools to function. Some tools gain more features if you purchase the optional license for APID ToolAssistant. Color2Gray Output selected color pictures as pure black (K) without having to modify the original JPEG or TIFF. HistoryLog Track time of last document modification, and keep a log of who has worked on a document. FrameReporter Shows information about page items without having to hunt for the 'Info' palette; helps navigation in complex documents. 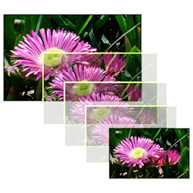 ImageHorn Automatically resize/refit frame content when resizing an image frame. 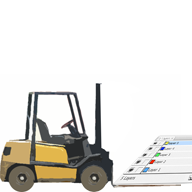 ImageLibraryLoader Floating palette filled with images from designated folders. Much faster than Adobe Bridge, uses standard InDesign library palette. 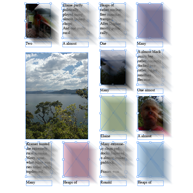 LayerLifter Efficient method to move page items between layers via context menu with layers. PlaceAndScale Auto-scale pixel images as they are placed so that all effective resolutions conform to a preset value. StoryParker Helps you handle overly cluttered layouts with ease. Temporarily move obscuring elements out of the way and later put them back exactly where they came from. SudokuGenerator Generate brand new, copyright-free Sudoku puzzles straight into placeholder frames. Great for newsletters, puzzle books,... - do the layout once, and 'inject' fresh new puzzles as many times as you want. TextExporter Export all text from an InDesign document into a single combined RTF or text file. TextStitch Automatically thread unattached text frames into a single, logical thread. Cut a long, multi-frame story into separated text frames without visually affecting the layout. Soxy Transparently manage multiple installed versions of applications. Automatically open documents in the most appropriate version (e.g. InDesign CS3 documents open in InDesign CS3 even if CS4 is installed). StoryTweaker Move text out and back into InDesign documents, to allow translation or editing of text without need for additional licenses of InDesign or InCopy. 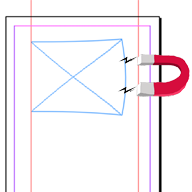 YeShore Enhance InDesign CS4 Live Preflight with a host of handy rules - don't overlook avoidable, expensive mistakes. trademarks or trademarks of Adobe Systems Incorporated in the United States and/or other countries.